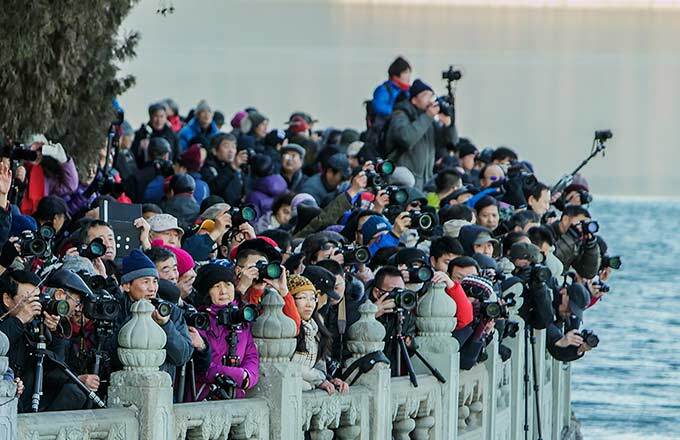 Soaring 565 meters above a river, Beipan River bridge in Guizhou opened to traffic on Thursday, making it the world's highest bridge, CCTV reported. 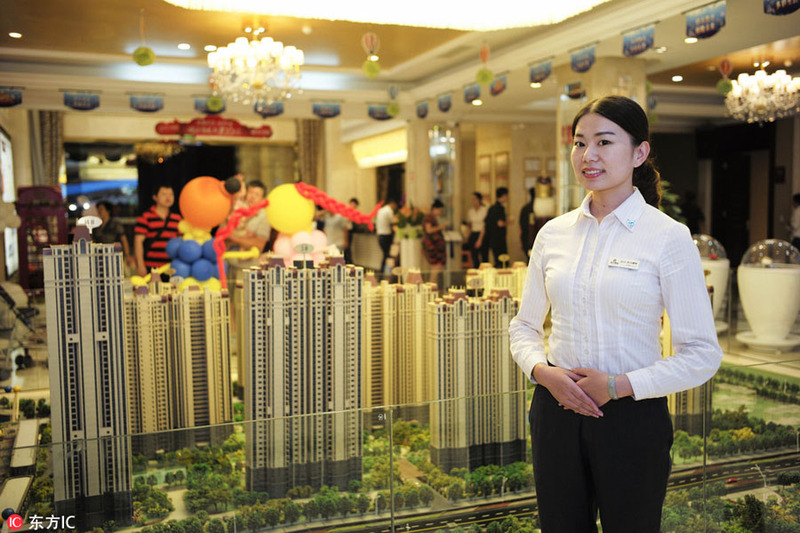 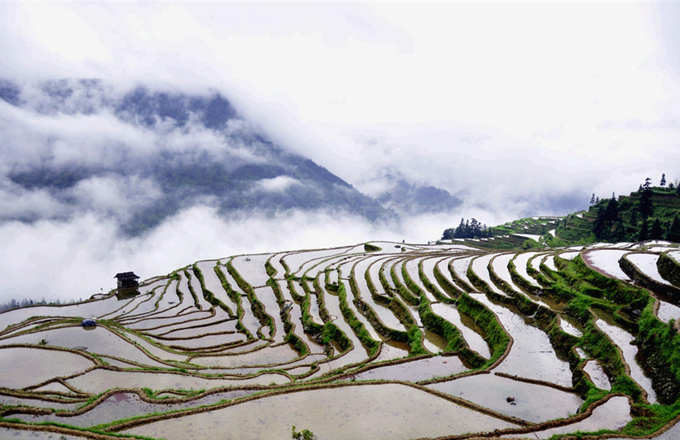 With a height equivalent to a 200-storey building, the structure spanning the Beipan River Valley, is part of a highway linking Hangzhou city in East China's Zhejiang province and Ruili city in Guizhou's neighboring Yunnan province. 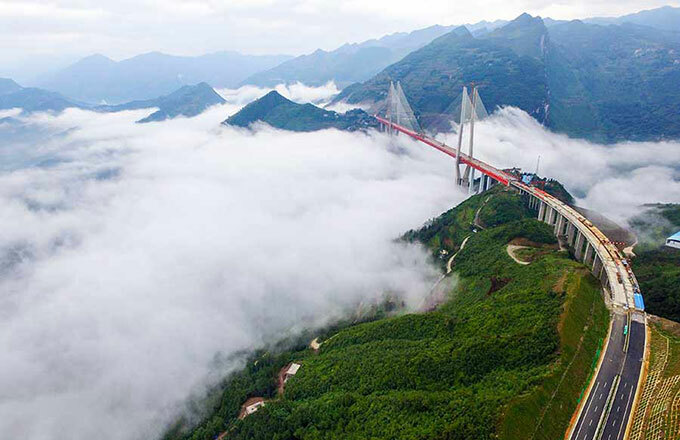 The bridge cuts travel time from Liupanshui in Guizhou to Xuanwei in Yunnan from around five hours to less than two. 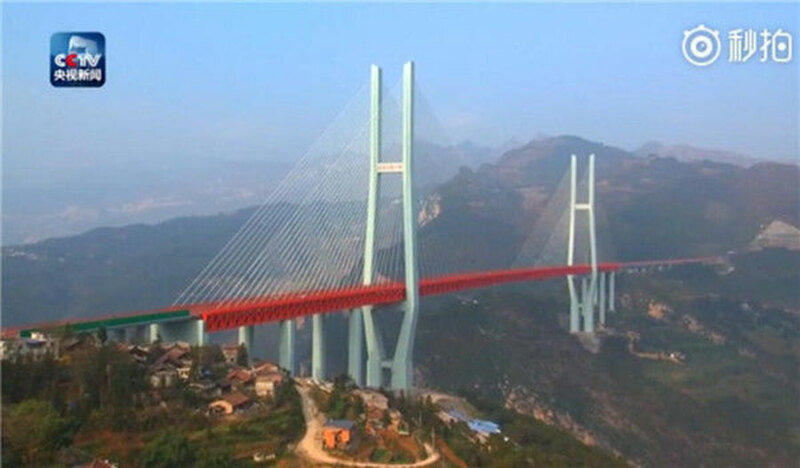 The construction of the 1,341-meter-long cable-stayed suspension bridge started in 2013, costing about 1 billion yuan (about $150 million).